PREVENT A FLAT MYO (Mix Your Own) is a mix yourself liquid tyre sealant designed to save you money. By removing the water that you get from a tap and the antifreeze that you buy cheaply from auto stores, our PREVENT A FLAT MYO tyre sealant is more affordable. PREVENT A FLAT MYO provides you with only the ingredients that are too hard to buy or too expensive to buy to make our tyre sealant. Its by mixing it yourself that PREVENT A FLAT MYO is able to pass the savings onto you. Water is practically free, save your money and mix your own. Water is expensive to post, save your money and mix your own. plus a 2 Litre complete version for convenience where everything is included, just add water. PREVENT A FLAT MYO (Mix Your Own) is a mix yourself liquid tyre sealant. By mixing it yourself and adding your own liquids all of the savings are passed onto you. Once mixed into a liquid, PREVENT A FLAT MYO is pumped into a tyre through the valve stem. The valve is reinserted and the tyre is inflated to normal operating pressure. As soon as the vehicle moves PREVENT A FLAT MYO is activated. PREVENT A FLAT MYO traps fibres, fillers and inhibitors in suspension sealing punctures by the movement of the vehicle along with the tyres own air pressure when attempting to escape through a leak. PREVENT A FLAT MYO is beneficial in both tubeless and tubed tyres with its ability to seal most leaks as they occur with minimal air pressure loss. Being a liquid PREVENT A FLAT MYO coats the interior of the tyre as the vehicle moves with millions of fibres held in suspension within the liquid. It is these fibres that plug the leak, while the fillers seal the leak and the inhibitors protect your tyres and rims. When a puncture does occurs that point of the tyre is under load, the air in the tyre tries to escape taking the fibres out of suspension forcing them into the hole. As the leak comes off the point of load, the stress on the tyre is relieved and the compound surrounding the leak contracts. This traps the fibres and fillers already in the hole, binding them tight and cutting off any air flow from within the tyre. As the tyre is subjected to continued rolling, the leak will come onto the load point with each revolution. As it does so the compound flexes and even more fibres and fillers are forced into the hole. Again, as the leak rolls off the load point the compound contracts binding the fibres even tighter into the leak area. The plug formed in this way is completely flexible. 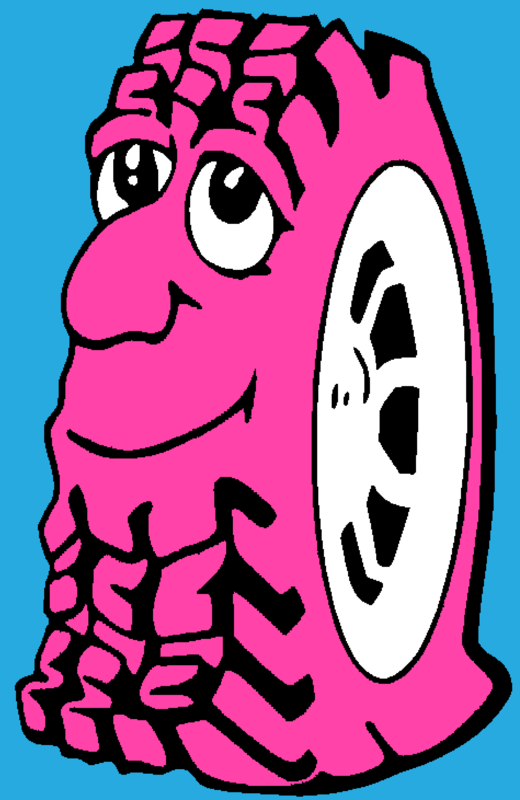 It expands and contracts with the flexing of the tyre. Under operational conditions this process is virtually instantaneous, resulting in minimal air loss from the tyre. The plug formed by the fibres is then set by the fillers to a permanent seal only using a fraction of the PREVENT A FLAT MYO. Once PREVENT A FLAT MYO has been installed it is operable for the service life of the tyre. Tread area punctures up to 6.0mm diameter object. Rim and bead leaks off vehicle. Reduces flats - 80% to 90% in tubeless tyres. Reduces flats - 50% to 60% in tube type tyres. Will not deteriorate, ball up, cure or freeze in operation. Will not damage tyre, rim or tube. EASILY REMOVED Washes out of the tyre with water. 1. Pour the mixed PREVENT A FLAT MYO from the mixing bucket to the provided applicator bottle. 2. Remove the valve core. 3. Position the Valve Stem about 4 or 8 o’clock. 4. Squeeze PREVENT A FLAT MYO through the valve stem. 5. Replace valve core and inflate to the correct pressure. Once mixed PREVENT A FLAT MYO can easily be stored for 5+ years in an air tight container. The mixing bucket with lid can be used for storage as can used fruit juice bottles with lids. Remember to always label your storage containers. Red Type A Ready to Use OAT Based Radiator Coolant/Antifreeze 50% concentration. Purchase your Red Type A Ready to Use OAT Based Radiator Coolant/Antifreeze in 5-6 litre bulk containers to save even more, by reducing the cost per litre used. Use with your next purchase of Prevent A Flat MYO or with your next car service.